Happy Thursday! Who doesn’t want to have healthy skin? I just celebrated a birthday (thank you for all of your lovely messages on my social media! 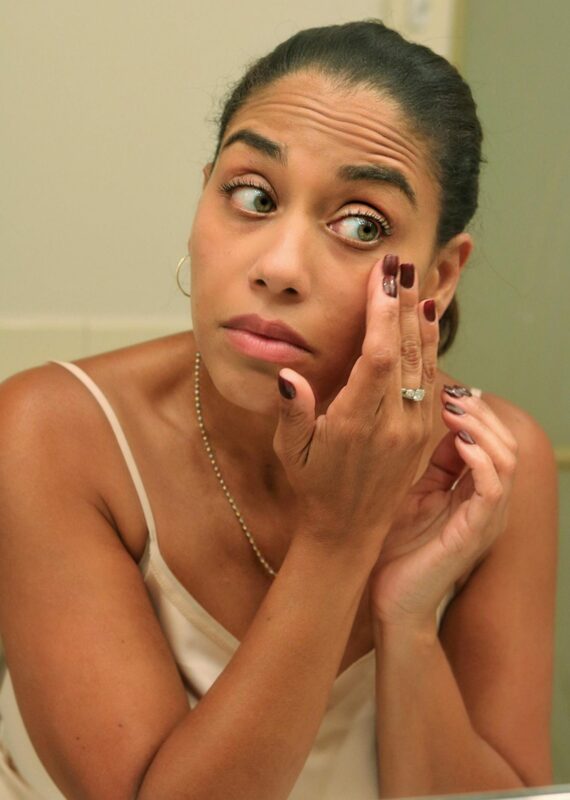 ), and one of the keys to growing older and still feeling youthful is how I care for my skin. When I was younger, I was obsessed with finding the best products that would help me take care of my skin because as a Latina, my mother always stressed the importance of taking care of my skin. 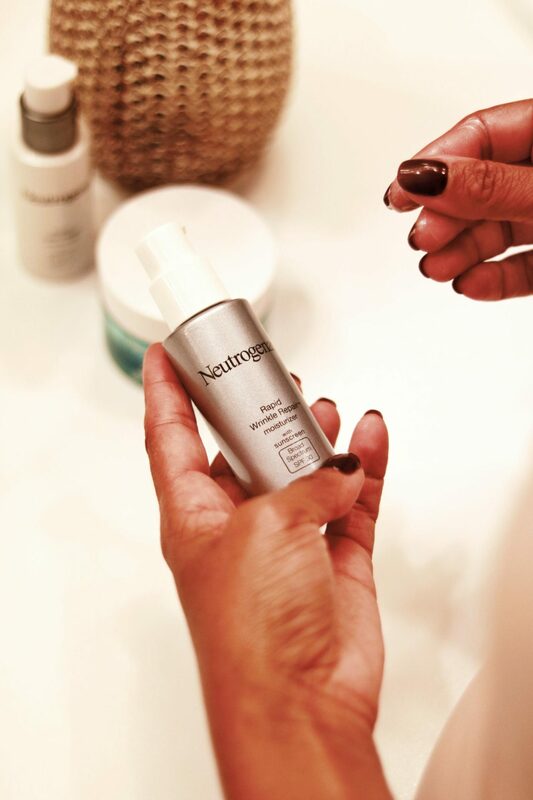 When I discovered Neutrogena®, my favorite product was a little tube of magic (I really believed it!) of an overnight cream that worked perfectly for my unexpected breakouts. 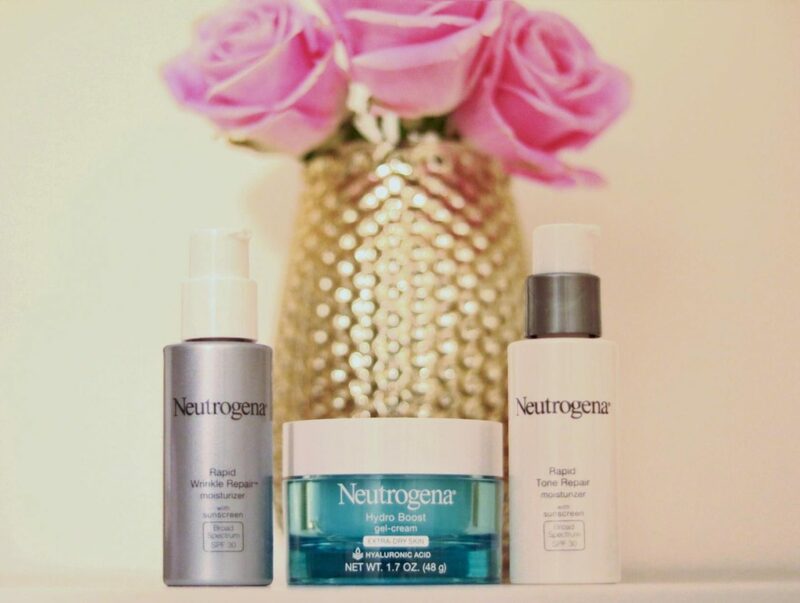 And now, I am so excited to work with Neutrogena to try their Rapid Repair® line of products to discover ways to keep my skin looking healthy and youthful. I’m definitely one who knows it’s what you put inside your body that is just as important as what you put on it, so I recommend drinking all the water you can in a day. Water alone for me is sometimes a challenge, so I like adding a few lime or orange slices to make it easier to drink in large quantities throughout the day. 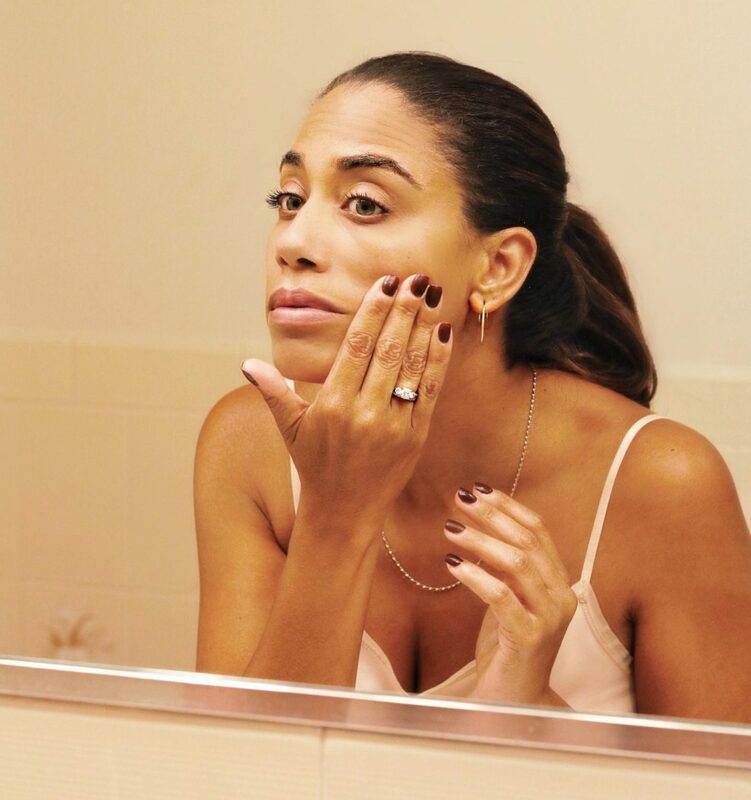 While I always washed my make-up off before going to bed, I never did too much more to take advantage of the benefits of a night-time skincare routine. One ingredient I’ve begun to learn more about has been hyalluronic acid. And while it sounds pretty scary (trust me, I thought so too! ), it actually is great in helping hydrate your skin. 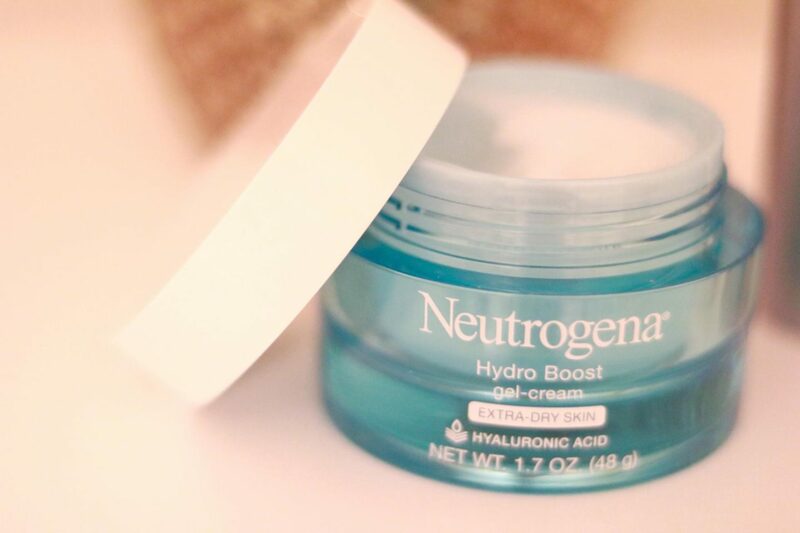 I began using Neutrogena’s Hydro Boost cream before going to sleep, and let me just say I am in love! It has changed my night-time skin care game! The gel cream is smooth and absorbed quickly into my skin without feeling sticky. In the morning, I notice my skin is significantly softer and my foundation easier to apply after the sunscreen. While the Tone Repair is also a great way to add sun protection to your skin care routine and provides the much needed vitamin C we all need to keep our skin youthful and radiant, I prefer using the Rapid Wrinkle Repair. I could easily use both, but I am particular happy to address smoothing out those fine lines. 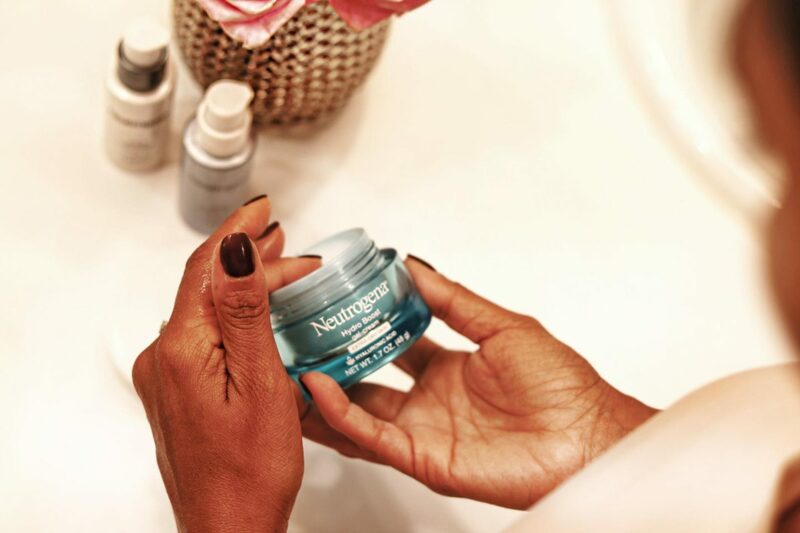 Neutrogena® Rapid Tone Repair and Rapid Wrinkle Repair® are formulated with Retinol, which is the number one dermatologist recommended nonprescription anti-aging ingredient. And that also means no tanning my face anymore in the sun! I’ve learned my lesson! Thank you so much for reading! 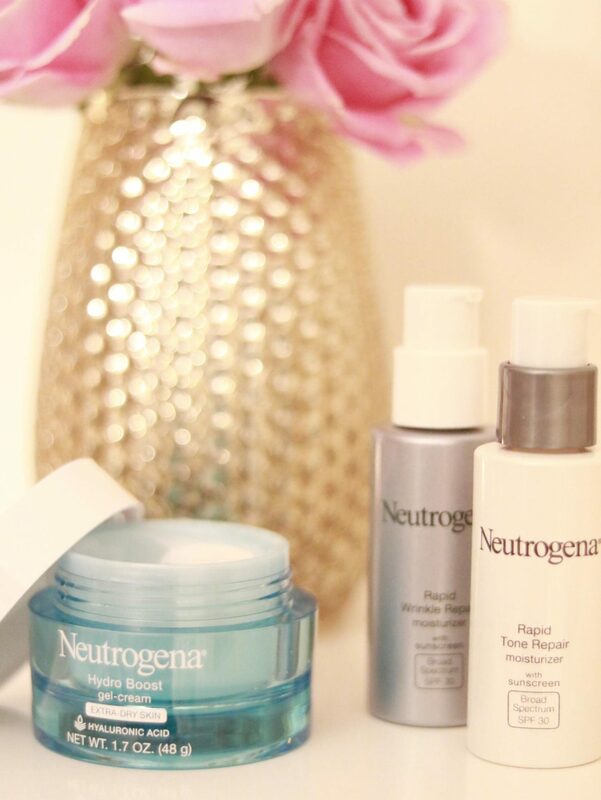 What products do you use to smooth fine lines and keep your skin hydrated? Comment below! I’d love to know! School for me has already begun with professional development and planning for the upcoming year, and all I can think about is how much more time I need to dedicate to getting my work done along with the myriad of other “to-do’s” to make it through any given week. It can be so easy to just send my son along to play on the iPad or to watch TV so I can get things done, but I genuinely try my best not to. (Not saying that I never have either.) But after recently being invited to see a screening of the Nine Lives, the premise of the movie only reaffirmed to me that we need to get unplugged in our lives and intentionally connect to our families more often than we probably do. 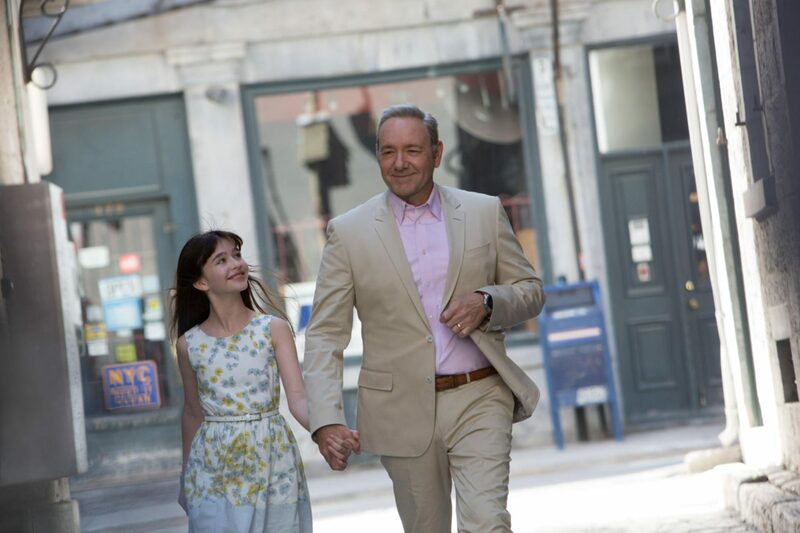 Nine Lives, directed by Barry Sonnenfeld and starring Kevin Spacey as the father Tom Firebrand, Jennifer Garner as his wife Lara and Cheryl Hines as his ex-wife, gives us a look into the life of a man so focused on his own success of building the tallest skyscraper he overlooks how his daughter Rebecca (Malina Weissman) and wife are missing connecting with him at home. After the screening, a group of us bloggers were able to talk with Cheryl Hines about the movie and her thoughts on its message to parents and children. 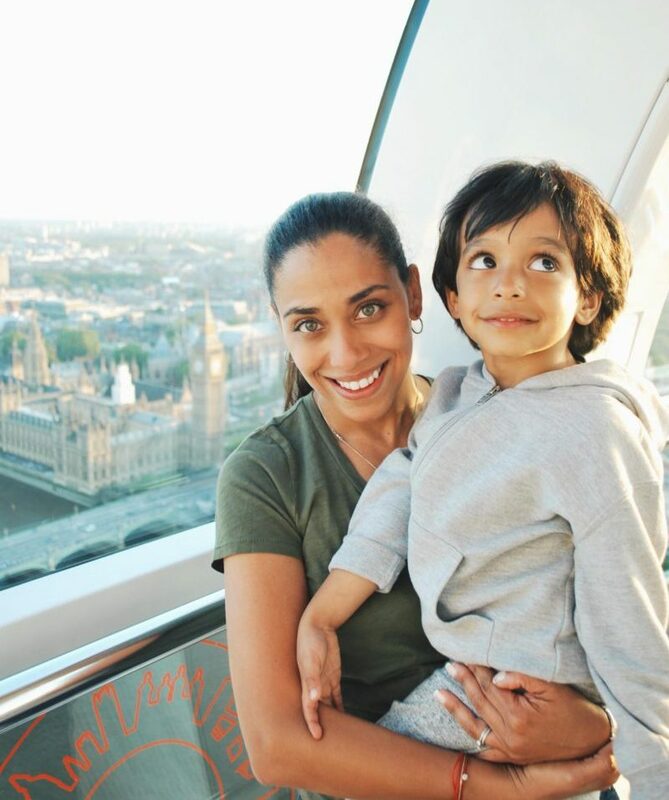 As a mother, it made me stop to think how often I let the cellphones or iPad or the laptops interfere with family time – time where we can really be connecting with each other rather than disconnected from each other. In recent months, I have made progress with my son trying to find ways to reign in the amount of electronic use not only for him , but for my husband and I as well. So here are my 5 tips for getting the kids (and yourself!) unplugged! Set one day (or two!) aside every week to have activities away from the electronics. “Turn it off Tuesday” or “Wired-less Wednesday”. Declare a set amount of time when you and your kids will be allowed to be plugged in. I do most of my work after my son goes to be to avoid the amount of time he sees me on my phone or laptop, and I use a timer to let him know when he must shut it off. Play “smart” games at the dinner table that carry over to dessert and then another room without turning on the TV. We often talk about our day by asking a series of questions like “What was your high and low for the day”, or challenge each other about a topic that we love to talk about like dinosaurs, science or the most recent book we are reading. Assign a set of books to get through the week before being allowed to get plugged back in. If getting unplugged is a challenge, find a way to watch something together and ask questions along the way. “Why do you think that character did that?” What do you believe is the reason they made this show for us to watch?” or just about anything to create the family conversation beyond the TV. Trust me when I say that not only will you enjoy the antics of the father turned cat in the movie, and even Christopher Walkin as the cat shop owner (he’s hilarious! ), but also appreciate the clear message that parents need to take a moment to get unplugged just as much as our children do. Thank you for reading! Nine Lives is out in theatres now! Let me know if you go see it and what you think in the comments below! Thank you to EuropaCorp and Cheryl Hines! 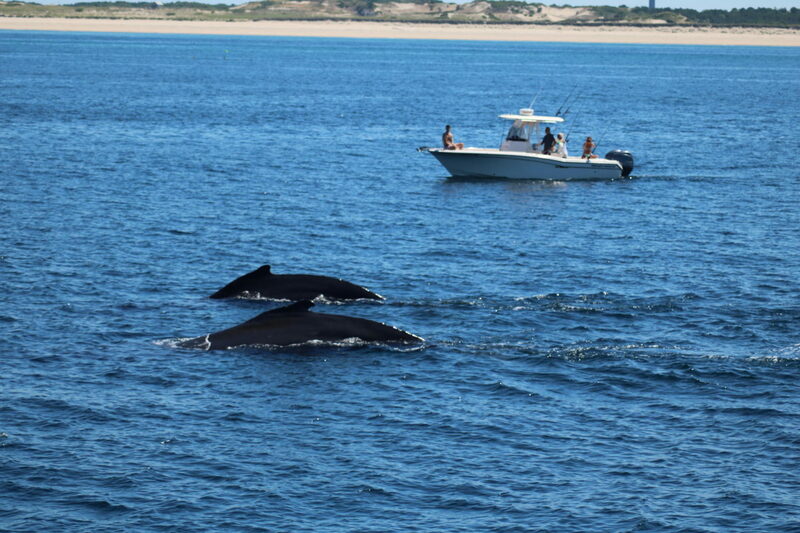 Whale watching in Cape Cod, Massachusetts! Those are the only words that truly explain our family experience on a recent trip out with the Dolphin Fleet (Dolphin IX, to be exact) to witness the splendor of whales enjoying their day in their natural habitat. 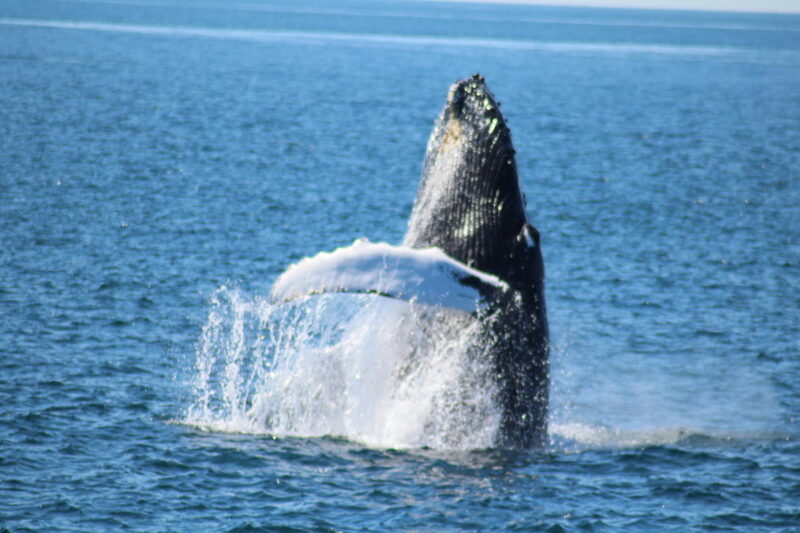 It wasn’t even an attempt at watching whales, or being excited for seeing a fin or a tail, but a full on experience of watching humpback whales slap the water repeatedly to remove the barnacles attached to them and another whale breach (jump straight out of the water) over and over again as if in a fit of joy and celebration as we stared in awe at the beauty that are these enormous creatures of delight and wonder. As a bit of advice, we did some research and learned that the Dolphin Fleet in Provincetown Harbor had the most informative crew (naturalists!) 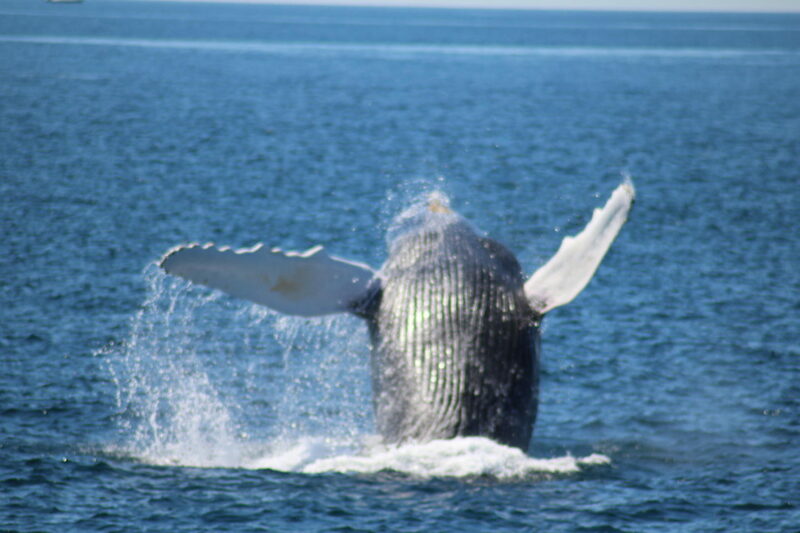 and best record of their guests seeing several whales (I am sure there are others) on their trips out. It was relatively inexpensive for a 3-hour tour (I know! ), and we boarded the 1pm ride. 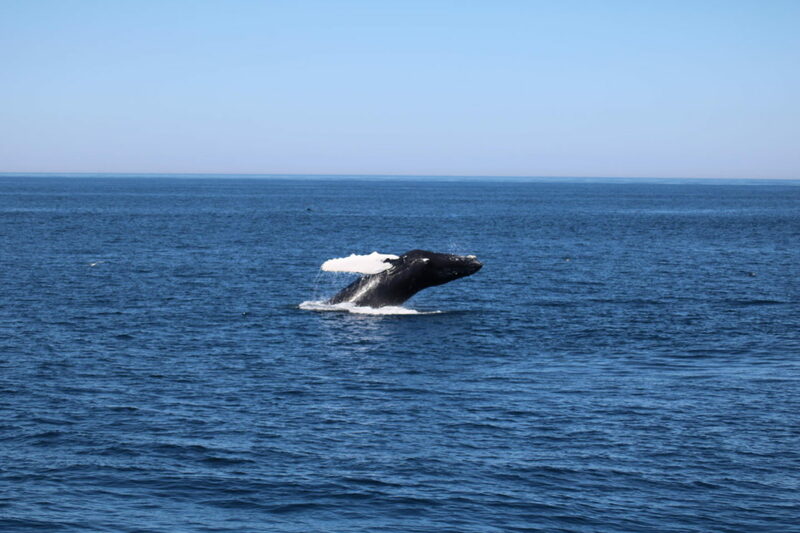 Calm seas are sure to be something you’ll want to know ahead of time in the event that you are someone who gets ill on a boat, because even on calm seas the wake of another boat or all the passengers moving to one side of the boat to see a whale will rock the boat a bit. 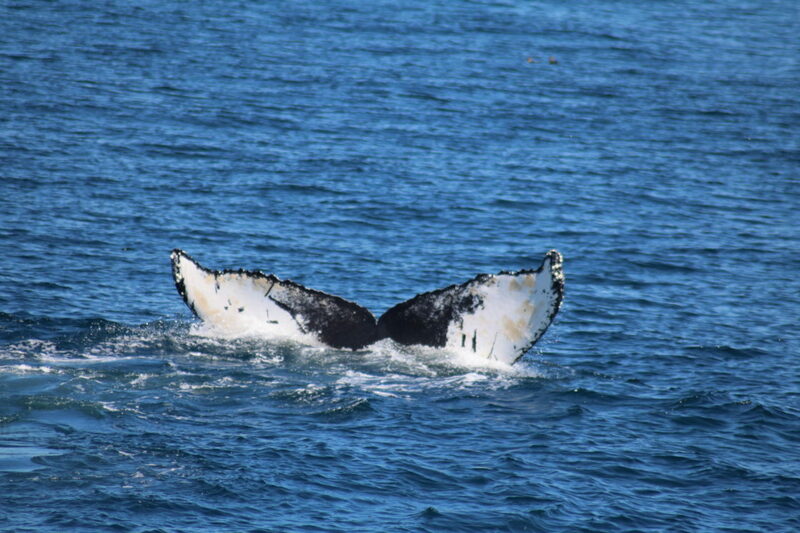 The entire tour is narrated by an informative naturalist, which made us appreciate the experience all the more, and if you don’t happen have the best camera or run out of space on your phone (as I did), they have a professional videographer record the entire tour/whale watch for you, which you can purchase upon returning to dock. 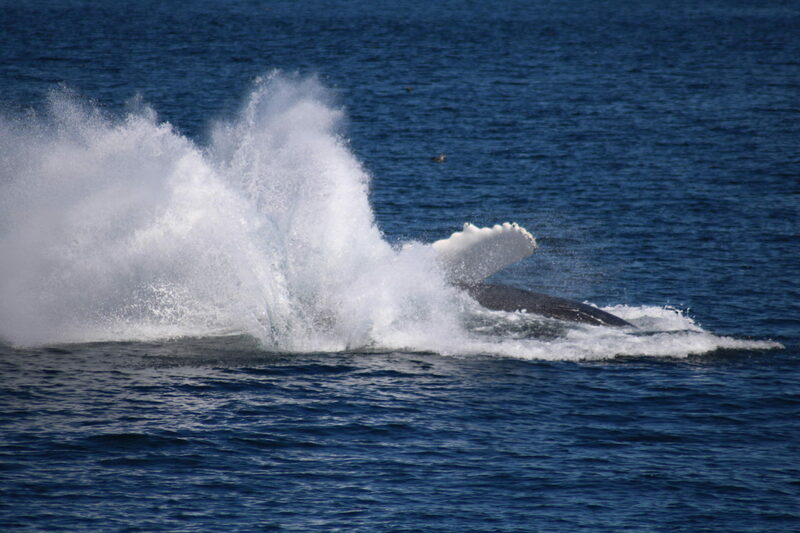 Hope you enjoy a part of our travel diary from our experience whale watching in Cape Cod. Have a great day! Happy Friday! Friday’s are perfect for movie night, and we are headed to see Ice Age again! 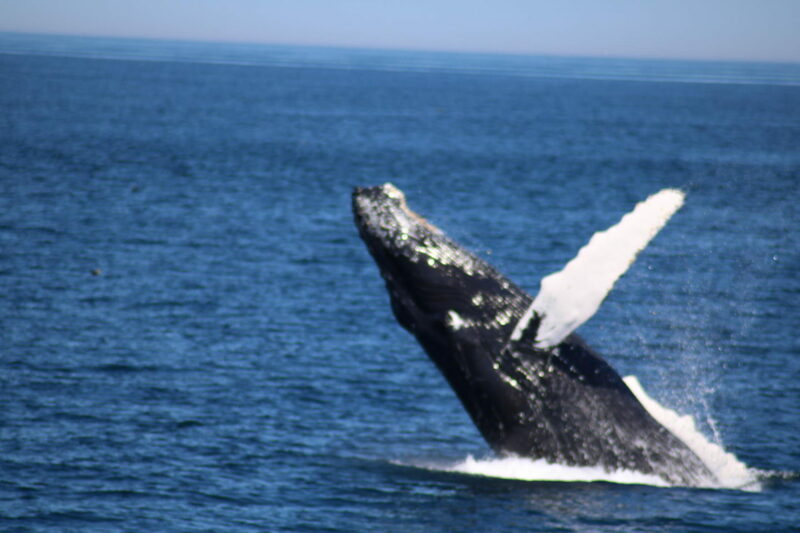 We are on vacation this week, and are having such a great time on the beach, whale-watching, mini-golfing, going to the movies, and all the great things you can do as a family when you visit Cape Cod! If you’ve been following us along on Snapchat (@thisseasonsgold), you’ve seen the amazing close-encounters with whales and more! I also hosted an event at a boutique in Chatham, and I can’t wait to share more about it when we get back! As a start to my Learning Through Motherhood (LTM) series, I wanted to talk about going to the movies with my son. The movies are honestly one of the best ways to spend time with the family, and with the right movie, a wonderful learning experience for the little ones! Recently, we were kindly invited to attend a private screening of Ice Age: Collision Course on behalf of Nellie from Brooklyn Active Mama (she’s amazing!). 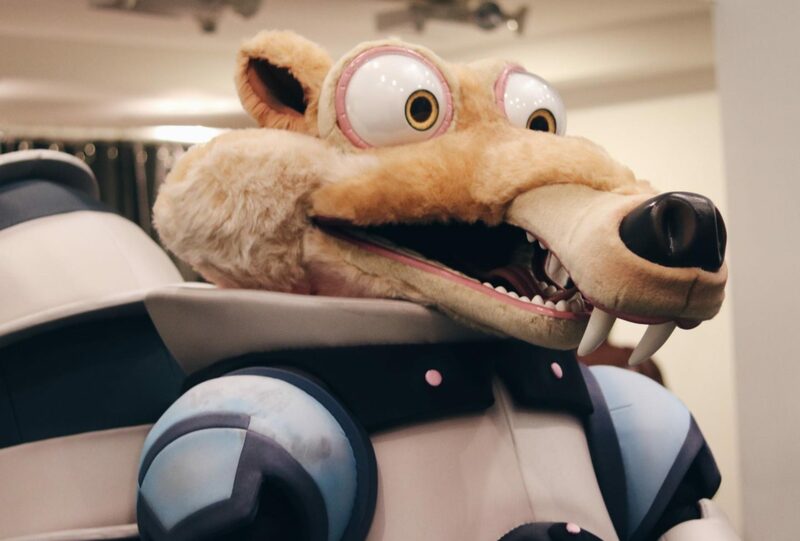 A Blue Sky Studios production (20th Century Fox), Ice Age: Collision Course is the fifth installment of the Ice Age movie franchise. 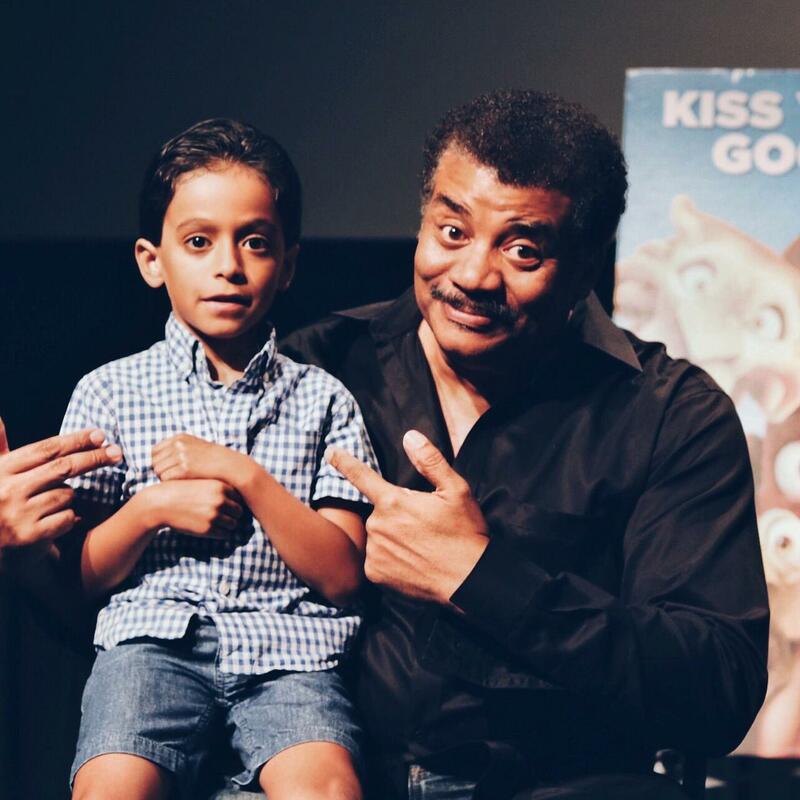 My son and I went to see the movie, which was great for a 6 year old, and had the honor of meeting and speaking with Dr. Neil deGrasse Tyson, an astrophysicist and the character voice of Neil deBuck Weseal in the movie. 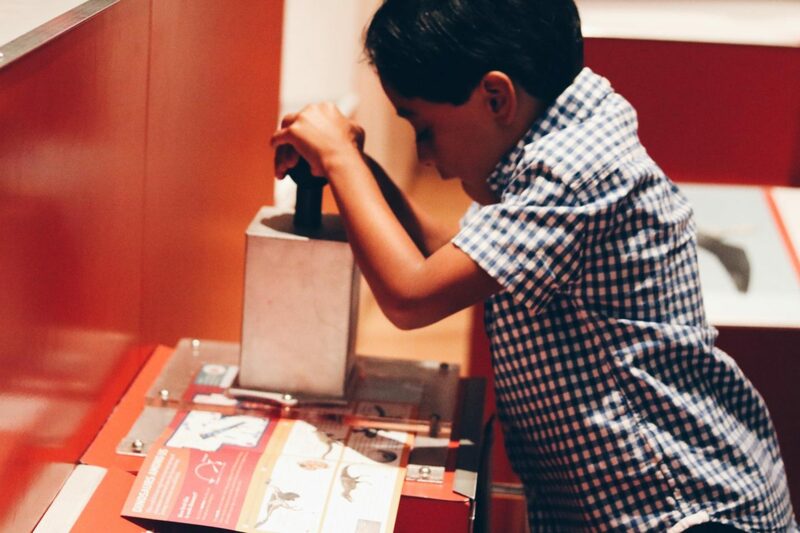 For a little boy who often asks questions about space and history (and everything really! ), I could tell meeting Dr. Tyson was a moment in my son’s life that he will never forget. 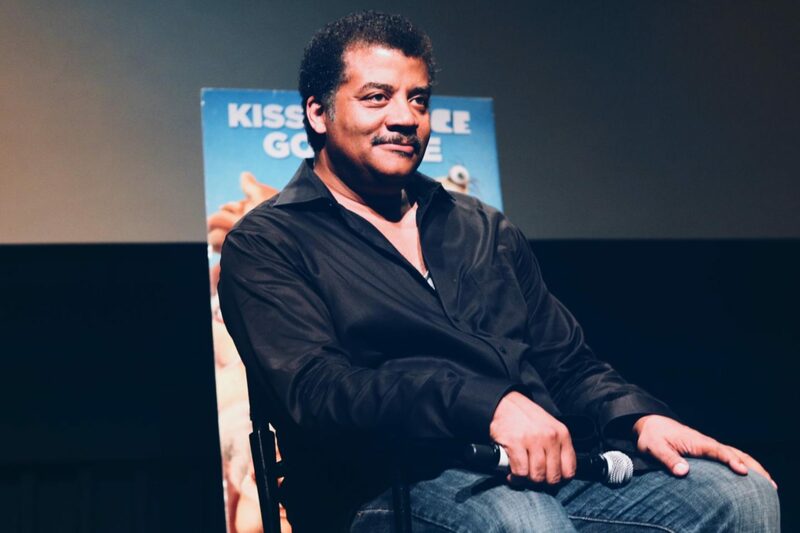 As a mother and theatre teacher, what I learned from the famed astrophysicist was something I least expected. After being asked by a young boy what he would be if not a astrophysicist, he answered “I’d write music for Broadway musicals”. And after hearing more about his connection to the arts, it was then that my belief that science and the creative arts must co-exist for a strong education was reaffirmed, something that truly matters to me. We ended the day exploring two exhibits at the American Museum of Natural History, Dinosaurs Among Us and Dark Matter (Hayden Planetarium). It was such a lovely treat to spend the day together with my son, and both of us learning together. As I close out this first post of my new series, I’d liked to end with what I learned from this experience as I stated in my post here. Giving your child the opportunity to explore the world around them without stopping them from asking questions helps them grow intellectually! Ice Age: Collision Course was a wonderful lesson in science while entertaining enough for me and my son to watch! I hope you enjoyed this first share of my motherhood experience, and I’d love to know – what movies do you like to watch with your children or those in your family? Thank you for reading, and thank you to Nellie for sharing this experience with us! It means so much to me to introduce a new series that I have been wanting to share with you. 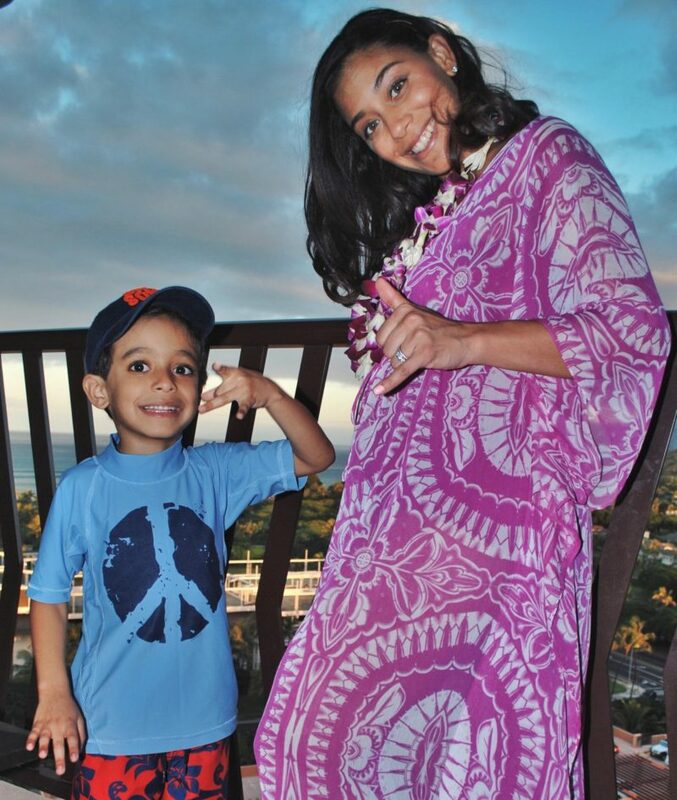 I have always shared my motherhood experiences as a mom to a 6 year old boy and as a woman who experienced the stillbirth of a daughter; and fashion has always been at the forefront of how I bounced back and what I will continue to share. But I also want to acknowledge what I’m learning as a mother and how the world around me makes being a mom much easier. I’m calling it “Learning through Motherhood”. Let’s face it, if you’re a mom, you know how complicated and suddenly unexpected life can become. In an instant you go from feeling like you’ve finally got it all together to suddenly having something (or someone!) change and it throws the entire day into a tailspin! (I’ve been there!) It can be frustrating and exhausting. And as a woman who looks at motherhood as a true gift (miracle, really!) who cherishes every chance I can say that I am a Mom, I know there is no sugar coating the challenges that come with it. The good thing is that we are able to find other women to share these experiences with, and things in our life that make it easier for us to be Moms or just make our kids happy and stay healthy. That really is all we want at the end of the day, right? What are 3 new things that I discovered? What are 2 things that I found interesting to want to learn more about? What is the 1 question I still have? I intend to answer these questions for you from my experiences as a mother. 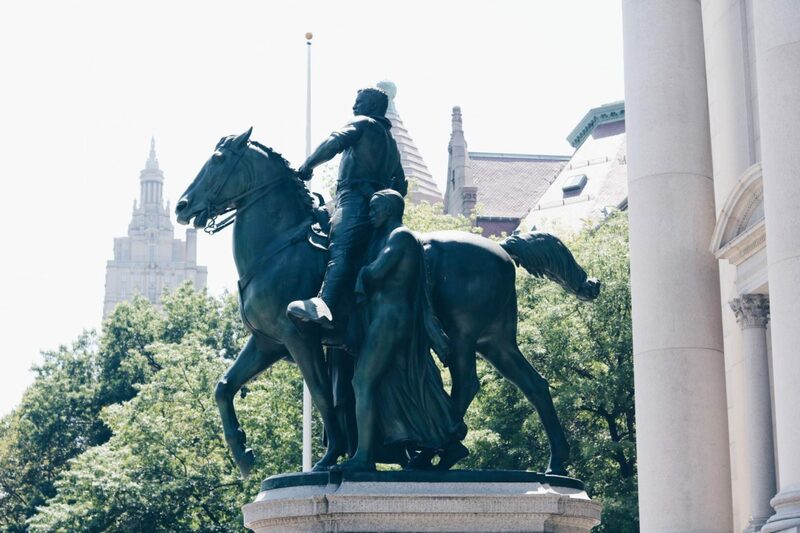 I plan to share ideas, products, other sites, and just about anything that has helped me continue to learn how to make being a Mom (at home, in beauty and in travel in addition to fashion!) as organized and as easy as possible. I look forward to your thoughts about what I share and will have my first series post up soon! In the meantime, you’ll catch most of my #Momlife happening over at Snapchat (@thissseasonsgold), so feel free to meet me there! Question: Do you have something that has made being a Mom easier? I’d love for you to share your thoughts in the comments! Thank you for reading! I’m also honored to be featured with IFB this week, so be sure to check out the other bloggers featured!